TAKE CESAR E CHAVEZ EXIT OFF IH-10/35 AND WEST CESAR E CHAVEZ OFF IH-37. OFFICE IS LOCATED IN THE HENRY B GONZALES FEDERAL BLDG WHICH IS NEXT TO THE FED COURTHOUSE ON NORTH SIDE OF CESAR E CHAVEZ ABOUT 1/4 MILE WEST OF ALAMODOME. WE CAN HANDLE YOUR NEEDS ONLINE OR BY PHONE, BUT IF YOU NEED TO VISIT OUR OFFICE, THE BEST TIME TO DO SO IS ON TUESDAY AND FRIDAY. The San Antonio Social Security office is located in San Antonio 78206. The following page includes information for this location like the office phone number, hours of operation and driving directions. If you have any interests or comments about your retirement benefits or are interested in making an appointment, call the following San Antonio Social Security office. The San Antonio Social Security office is located at San Antonio 78206. The Texas SSA provides several federally run plans like retirement, SSI, Medicare and disability benefits. The following page contains available contact information for this location such as the Social Security office phone number, hours of operation, and driving directions. 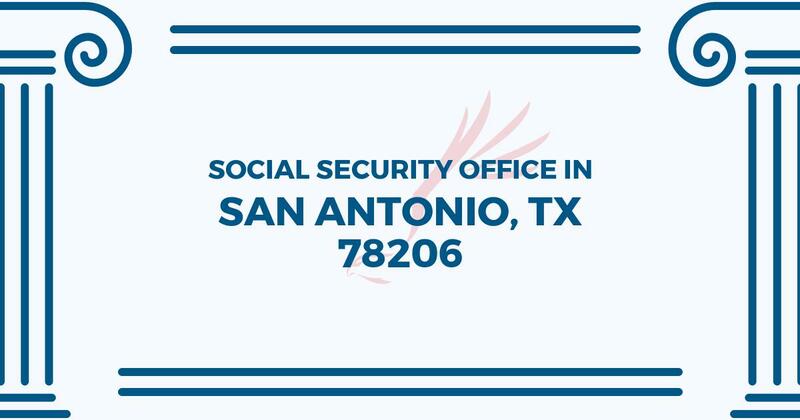 If you have any comments or requests concerning your retirement Social Security benefits or interested in setting up an appointment, call the following San Antonio Social Security office.